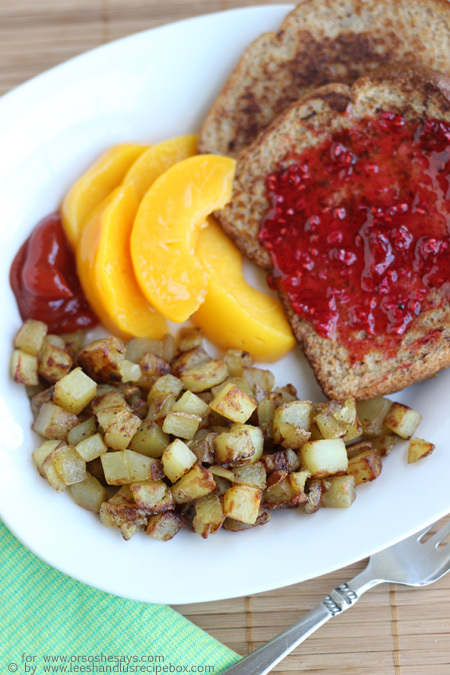 We seriously have breakfast for dinner once a week. Why? Because is't easy, we always have stuff on hand, and nobody in the house complains.....no whining, only eating! But sometimes I like to go a little beyond pancakes and waffles with eggs. And have an extra side.....hashbrowns. These little gems are a family favorite. And my girls wouldn't touch potatoes until recently - and I told them these tasted just like french fries and that was enough to get them to try them. My cute 3 year old said...."Mom, I can't stop eating these!" If there are any words I love to hear it's when they enjoy something that I spent time making for them! 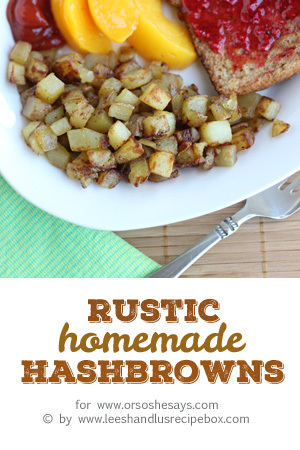 These are simple to whip up and make the perfect side to your breakfast/brinner meal! Head over to >>>>>Or So She Says<<<<<< where we are sharing the recipe!